"The government is confident and committed to strictly maintaining the 3.3 per cent fiscal deficit target. As far as capital expenditure is concerned for maintaining the high trajectory growth, we will end the year without any cuts and will maintain 100 per cent capital expenditure, necessary for high trajectory growth," he told reporters after a three-hour meeting at the Prime Minister's official residence. The Finance Minister parried reporters' questions whether the issue of petroleum prices, which have hit the roof, and whether the possibility of a cut in prices were discussed, saying it was essentially an internal discussion relating to the departments of the Finance Ministry. Saturday's meeting came a day after the Prime Minister discussed with Jaitley and Finance Ministry officials the current economic situation after which the Finance Minister announced five measures to curb the widening current account deficit besides a policy to limit non-essential imports and to encourage exports. "Today, the Economic Affair Department, Revenue Department, Expenditure Department and Department of Investment and Public Asset Management made detailed presentations before the Prime Minister. After the presentations, the Prime Minister expressed satisfaction with respect to broad parameters in relation to the economy and macroeconomic data so far emerging this year. "We are confident of achieving higher growth rate than was projected in the budget. Inflation is broadly under control and in direct tax collections, we are moving ahead of schedule. Despite the stiff target, we are now seeing the impact of anti-black money measures we have taken: demonetisation and GST. There is a phenomenal increase in the base of the number of people filing tax returns," he said. "In regard to GST and indirect taxes, the GST is settling down and with the pickup in consumption, it will show on the GST collections in future months. Between the indirect and direct taxes, we will comfortably meet the target, if not surpass it. As far as non-tax revenue is concerned, the entire programme of divestment and strategic sales for this year, just as we exceeded the target last year, we are confident of not only meeting the disinvestment target, but exceeding it. "On the basis of all these analyses, we are optimistic of our growth and tax collections. 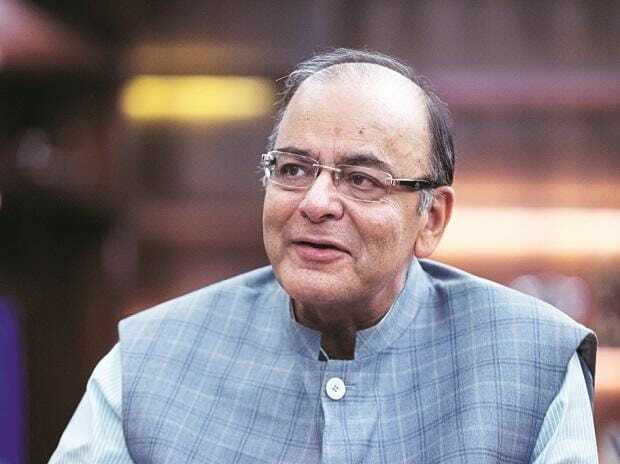 As far as the fiscal deficit is concerned, we will be able to stick to 3.3 per cent," Jaitley said.